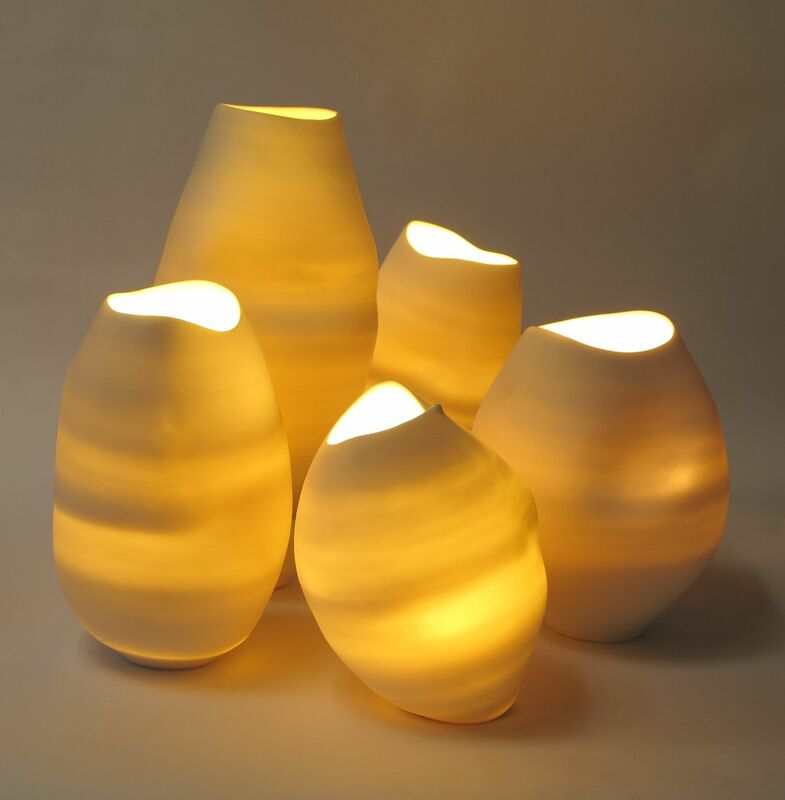 Each form is thrown on the potter’s wheel using translucent porcelain clay. Then the pieces are pressed together while still soft. That way every piece carries impressions from other pieces. This is something that I believe reflects the reality of our own individuality. They talk of the diversity created by thinking independently, yet together. 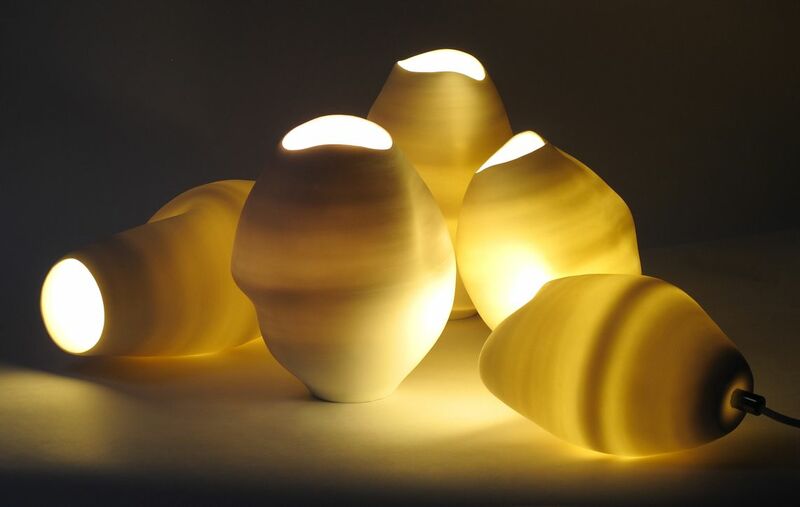 When the lights are unlit they have an even cool white colour. 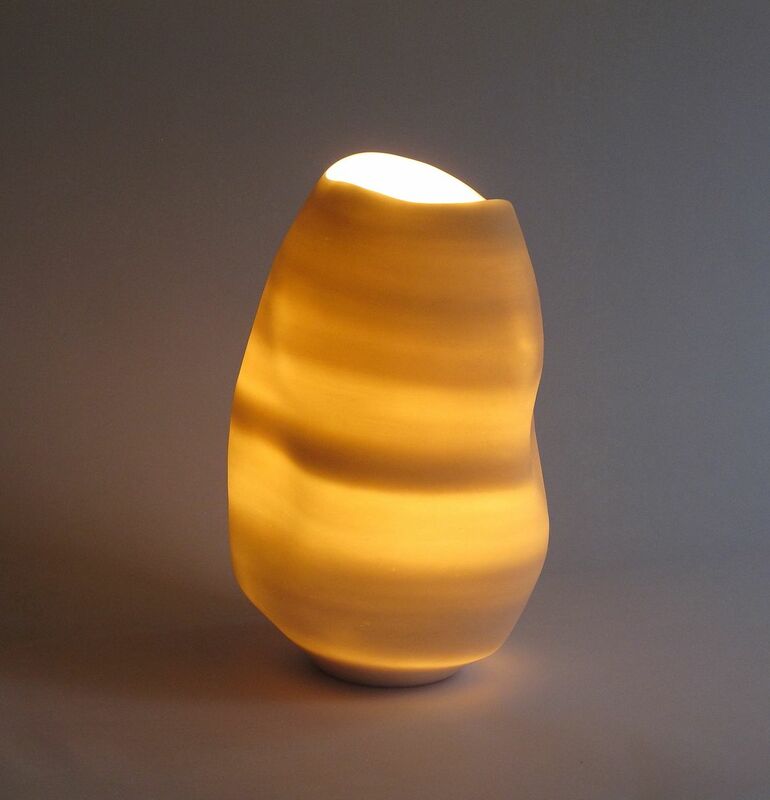 When lit from the inside they emit a warm honey glow; the striations from the process of wheel throwing producing an effect reminiscent of sedimentary rock. These works are inspired by daily life experiences, and respond to the qualities of the materials and processes. 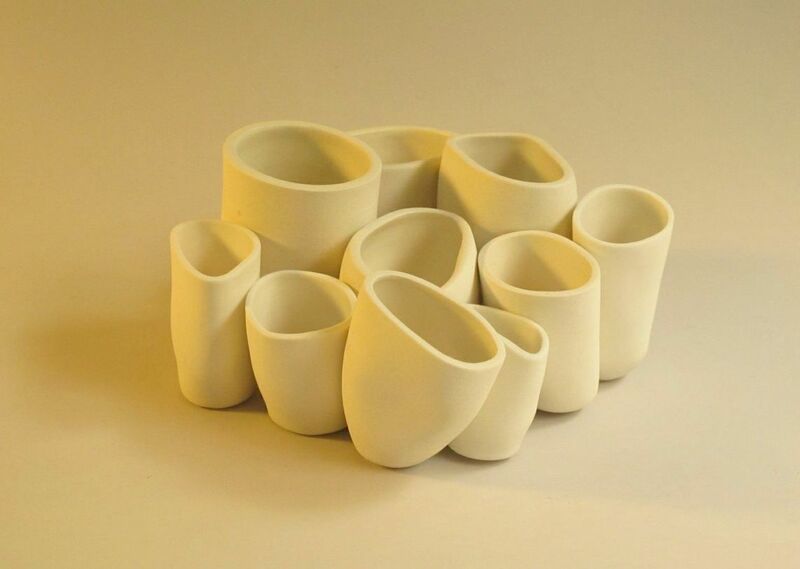 They often explore the overlap between sculpture and design.